In her recent commentary in The Atlantic (The Case for Gay Acceptance in the Catholic Church), I’m flattered that Kathleen Kennedy Townsend would use the name of this blog in her closing summation about whey God’s LGBT children should — and in time, will — be unequivocably accepted in the Roman Catholic Church. At this time, when the hierarchy does not want to recognize that we are all made in the image and likeness of God [emphasis added], and that the one of the two most critical commandments is to love one another, it is critical to assert that God loves the LGBT community equally. Sometimes the Church moves slowly, sometimes quickly. The point is to make sure the voices of dissent are not quiet and the Holy Spirit can be heard. Ok, so perhaps she didn’t actually know she was referring to the title of this blog, but the Spririt works in mysterious ways, right? In any event, I had the privilege of hearing the former lieutenant governor of Maryland speak on the last day of the recent New Ways Ministry Symposium in Baltimore. 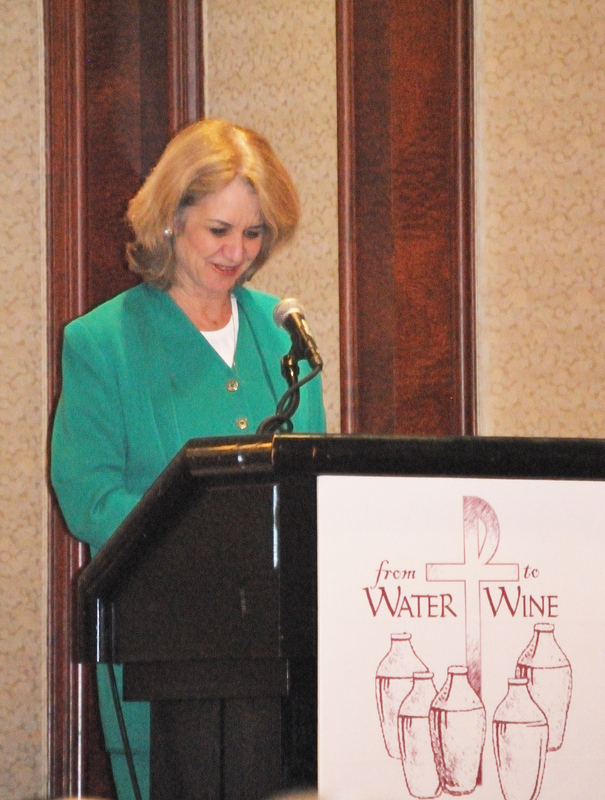 She is an engaging speaker — as one would expect from a politician with the last name Kennedy — and had an instant rapport with the Catholic audience, perhaps many of Irish ancestry, on St. Patrick’s Day no less. When asked if she would lead the crowed in singing, “When Irish Eyes are Smiling,” she politely demurred — that is until a woman (a parish musician, no doubt) sat down at the piano and began to play that quintessential Irish tune. The entire gathering then erupted into song. Kennedy Townsend’s presentation was markedly more conversational than the several plenary sessions earlier in the symposium. Author Richard Rodriguez, Bishop Geoffrey Robinson, and theologians Luke Timothy Johnson and Patti Jung all gave extremely substantive, thought-provoking presentations from their own areas of expertise. While much less academic, Kennedy Townsend’s presence and presentation was a reminder of the important role public Catholic public figures can and should play in at least raising the profile of the issues affecting gay Catholics. Such heightened profile provides greater success that our Church’s bishops — even if behind closed doors — will be willing to engage in dialogue with the Catholic LGBT community.